Have you found an online vendor selling Bundaberg Five? Typical Bundy, but white. Not as strong in flavour as other Bundies, but stil nice. Why they needed to age this five years I don't know. Maybe the ageing process really bought out the deep methylated spirits burn on your nose and throat. Maybe they were trying to capture the experience of cleaning a toxic chemical spill without a hazmat suit on. If you're going here, get a hazmat suit. But I suggest you go for Havana 3 Year Old, which is actually cheaper in Australia and about 117 times better. 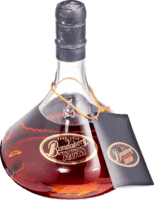 Bundy have tried over the decades to come out with a quality white rum to rival the market share Bacardi have over the white rum market. Bacardi itself is a heap of crap, but still..people drink it. Anyway, back to Bundy 5. They have filtered and distilled this so many times that you almost wouldn't know that its rum. In my opinion it's not very good at all, but if I was drinking it, it would go well in a mixer/cocktail. Anything to get rid of the Bundy 5 taste. Wouldn't be surprised to see this production line dropped over the next few years. Not sure who buys it to be honest. I'm not a huge fan of White rum, but this is passable as a mixer, fairly neutral and is handy as a replacement in cocktails.